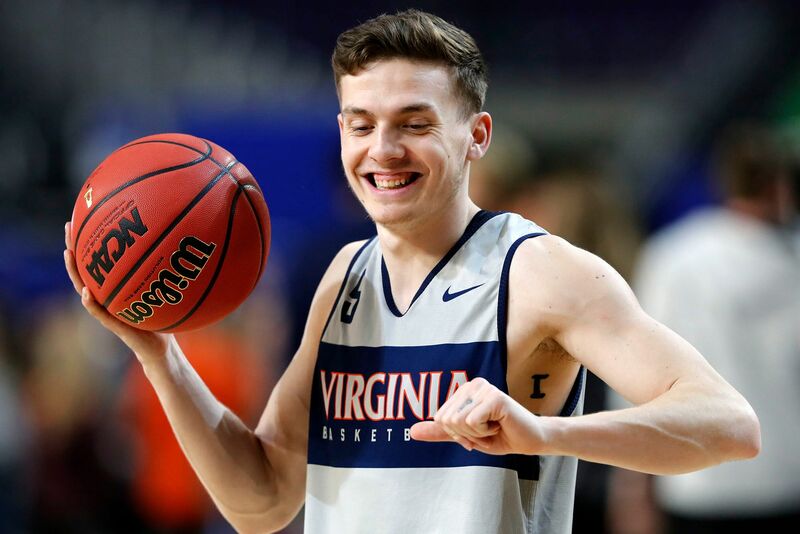 Kyle Guy’s smile is a big reason Virginia won the National Championship. Virginia won the National Championship last night, and so Kyle Guy is a champion. Guy is a graduate of Lawrence Central in Indianapolis and alum of the Indiana Elite summer basketball program, so basketball fans in central Indiana have seen a lot of Guy over the years. He’s the same kid as a junior, and a champion, at Virginia as he was in high school and during all those summers. There is a joy to his game that is just different. When Guy hits a shot, he smiles. When a teammate hits a shot, he smiles. There has always been a happiness to his play, and that isn’t easy. At Lawrence Central he smiled as he took and hit big shots – same with Indiana Elite. He missed some and made some, but he never stopped taking them. He never allowed a miss to become a failure that might discourage him from taking the next shot. The grind of the relentless work can wear on a kid. The early mornings and late nights lead to 14 hour days of school and basketball, and at some point a lot of kids lose that love of the game. Guy has never taken himself too seriously, but he’s always taken basketball seriously. Best known as a freshman for rocking the man-bun, now he known as the Most Outstanding Player for the champions. Great teams need scorers, defenders, and rebounders, and Guy is good at all of those – he averaged 21 points per game over the final three games of Virginia’s run including 24 last night – but what separates the great from the good and mediocre is what Guy brings. He is a constant communicator, always telling and showing teammates what, where, and how to do their jobs. And he does it with enthusiasm. During the grind of a season, a player who loves the game can get a team through some rough spots, and that’s the most important quality Guy brings to Virgina. If you’re a parent with a kid playing basketball, think of Kyle Guy smiling while he plays. If you do anything as a parent, nurture the love your child feels for whatever he or she does. Treasure the smile. Protect that smile. That smile is the reason Guy is the player he is, and it’s a big reason Virginia is a champion this morning. This entry was posted in College Basketball, Featured Story and tagged Kyle Guy Lawrence Central, Kyle Guy smile, Virginia national champions on April 9, 2019 by Kent Sterling.